‘Elvira: Mistress of the Dark’ Finally Coming to Blu-ray from Arrow Video! It was announced back in 2016 that ‘Elvira: Mistress of the Dark’ from 1988 was getting a Blu-Ray release jam-packed with special features, courtesy of a German company, Cinespectral Films, and was set to release in December, but was pushed back before being cancelled completely last August. 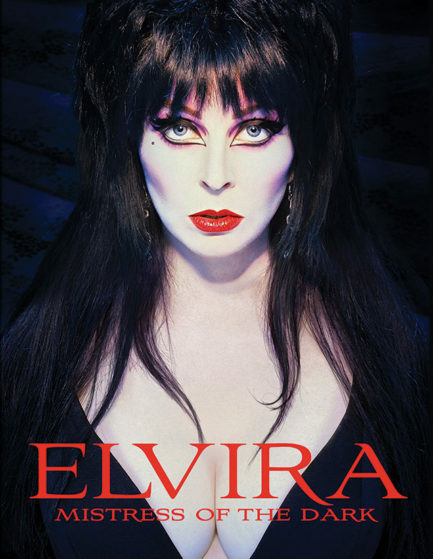 Well, we are excited to say that Arrow Video has announced that they will be bringing Elvira’s big screen debut to blu-ray before the end of the year!! What makes this even better is that Arrow will be the FIRST company to do so! They have also announced that they will be releasing ’12 Monkeys’ on blu-ray as well. Unfortunately, they didn’t announced when these discs would be available or what special features we would find on these sets. We’re hoping that Arrow will be able to obtain all the previously announced special features for their disc, which included a 100-minute documentary, multiple feature-length commentaries, behind-the-scenes footage and new interviews. Share this awesome news with your friends and make sure to stay tuned to the Horror Headquarters news page for more details!